You filed an application with USCIS, were fingerprinted and, finally, attended your citizenship interview as well as passed your history and English exams. At your citizenship interview, an immigration officer told that you would be scheduled for an oath ceremony once your background checks were completed. Likewise, at the adjustment-of-status interview, you were told that, once your background checks were completed, you would receive your green card. Several months pass. Months turn into years, but nothing happens. In the meantime, you become anxious and impatient. You are in limbo, at the mercy of USCIS. As a result, you might have problems reentering the United States after having traveled abroad, difficulty renewing your driver’s license or be unable to petition for your relatives to stay in the United States. In most cases, governmental delays in processing your case are due to pending security checks. In the majority of cases, the security-check delay is related to hold-ups in the FBI name-check process. An FBI name check is a routine part of every immigration application, along with fingerprint and background checks. Name checks are particularly prone to cause delays because similar names may result in false “hits” that are time-consuming to resolve. The checks can slow the scheduling of immigration interviews as well as delay the final approval of immigration petitions. In case of an unreasonable delay, it may ultimately be necessary to bring civil action against governmental agencies involved in the process. Federal law, however, requires immigrants to exhaust all available administrative remedies before they can proceed with complaints in federal court. Prepare a complaint for filing with the federal court on your behalf. We will send a copy of the complaint to USCIS and the U.S. Attorney requesting their cooperation before filing the complaint in federal court. This will give the U.S. Attorney an opportunity to put pressure on USCIS to adjudicate the application and avoid the time and expense of litigation. the remedies sought by you are the appropriate ones. Generally, the courts are reluctant to grant an immigration benefit, but you may ask the court to order the agencies involved in processing your application to act on your application. Hiring an experienced immigration attorney is very important because the Government routinely has challenged these suits with motions to dismiss, claiming that the court has no authority to act on your case. The term “venue” refers to a district in which your case is brought. Venue is always proper against governmental agencies or officials in the judicial district where you reside. Sometimes your district may not be convenient or might have the case law that is not helpful for your position. In this case, it may be advantageous to bring the case in another district court where governmental agencies are located or “reside”. In most cases, the governmental defendants reside where there is a district office. 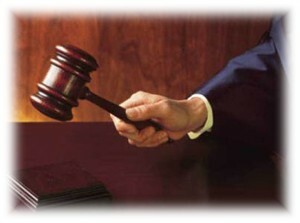 Jurisdiction refers to the court’s authority to make a decision in your immigration case. For example, jurisdiction in delayed adjustment of status or green card application cases is different from that in delayed naturalization cases because these suits invoke different federal law. For example, in cases involving an unreasonable delay in processing an application for adjustment of status or green card, jurisdiction is commonly found in the Mandamus Act, 28 USC 1361 and the Administrative Procedure Act, specifically, 5 U.S.C. 706 (the APA). The Mandamus Act gives federal district courts the power to compel a governmental agency to act when it has failed to perform its duty. Title 28, USC 1361, states: “[t]he district courts shall have original jurisdiction of any action in the nature of mandamus to compel an officer or employee of the United States or any agency thereof to perform a duty owed to the plaintiff.” To bring a successful mandamus action, it must be determined whether delay is unreasonable. You, as a plaintiff, must show unreasonableness by proving that you have exhausted all administrative remedies before filing the complaint. Evidence of your attempts to resolve the delay through administrative action will strengthen your argument that governmental delay is unreasonable and judicial action is your last resort. Title 5, USC 706, of the APA provides that courts have the authority to “compel agency action unlawfully withheld or unreasonably delayed.” The APA, however, does not provide an independent authority to review your case and, therefore, can only be used in conjunction with another statute for jurisdictional purposes. For example, the APA is routinely used in conjunction with federal-question doctrine, which states that “[t]he district courts shall have original jurisdiction of all civil actions arising under the Constitution, laws, or treaties of the United States.” If you have been waiting on a pending FBI name check, then you may assert jurisdiction based on several provisions of the INA and statute requiring the FBI to report records to federal agencies. You are not required to exhaust your administrative remedies before you bring an APA claim. Nevertheless, the court will be more sympathetic to your case if you can demonstrate that you made an effort to resolve the delay with USCIS. Accordingly, letters to USCIS and FBI inquiring about your name check will be helpful in subsequent litigation. In addition to the claims under the Mandamus Act and APA, applicants who have passed their citizenship exams and have waited excessively for invitations for their oath ceremonies may rely on 8 USC 1447(b), which provides that “…if there is a failure to make a determination [on naturalization application] before the end of the 120-day period after the date on which examination is conducted….the applicant may apply to the United States district court for the district in which the applicant resides for a hearing on the matter.” This statute authorizes the district court to decide the application. Although the statute provides for a specific time frame within which the USCIS must adjudicate the application for naturalization, the courts routinely review the reasonableness of the delay in adjudication. In the past, some courts held that a one-year delay from the date of the citizenship interview was reasonable, while other courts concluded that a delay of two or three years was unreasonable. Obviously, the period between the initial citizenship interview and USCIS’ decision is not the only delay in naturalization cases. USCIS often delays scheduling the initial examination, holding a hearing and making a decision after an administrative appeal. On April 26, 2006, USCIS, in its attempt/ to eliminate mandamus litigation related to the delayed adjudication of naturalization cases, issued a memorandum mandating that it not schedule a citizenship interview until all background checks are completed. Those applicants who applied for citizenship but have not attended their citizenship interviews cannot rely on 8 USC 1447(b) in court. When extensive delays occur before the interview, mandamus and APA actions may be appropriate. Unlike 8 USC 1447(b), an action under Mandamus and APA does not give the court the jurisdiction actually to decide the application. Director of the FBI (if the delay is caused by hold-ups in the name-check process). Request the court to award legal fees if you had an attorney and won the suit, that is, if you are the prevailing party in the suit. Please contact our office for a no-obligation consultation to determine whether we can work with USCIS to adjudicate expeditiously your immigration matter.